This set contains 7 small glass bottle images in transparent PNG format. 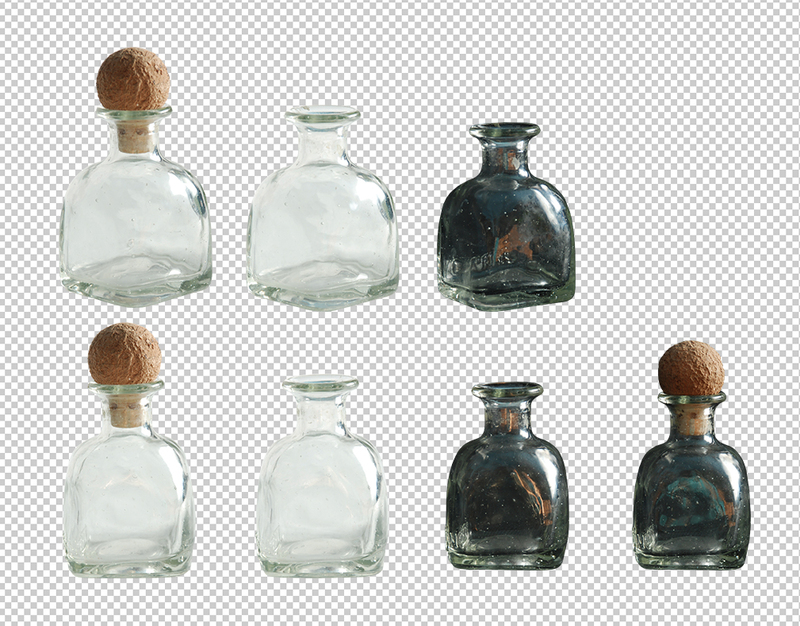 The bottles are posed with and without the quork in two different angles and with light and dark backgrounds to better match your needs. They’re raw and have no layer styles applied to them (e.g. shadows). The high-quality images can be used for whatever you consider fit. wonderful! so may uses bumping around in my mind However I could not down load..